Welcome to Jones County, Iowa. 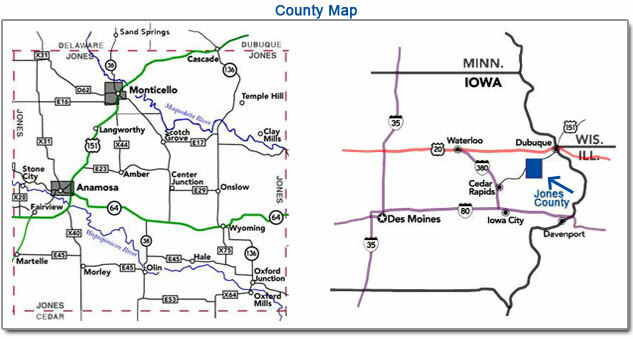 Nestled in Grant Wood country and the heart of Eastern Iowa, Jones County is the perfect place to visit or live. We are a favorite spot for day-trips in Eastern Iowa, and a frequent stop on bus tours. Whether you plan to visit for a day, a week, or move to our fine County, we look forward to seeing you!